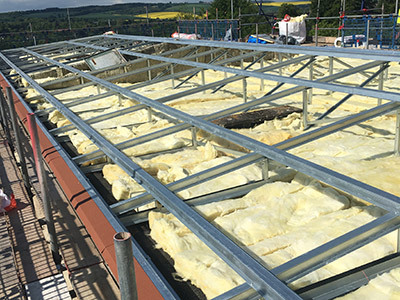 A Warm roof is a type of roof construction which has an insulation layer above the rafters and immediately below its weatherproof membrane. 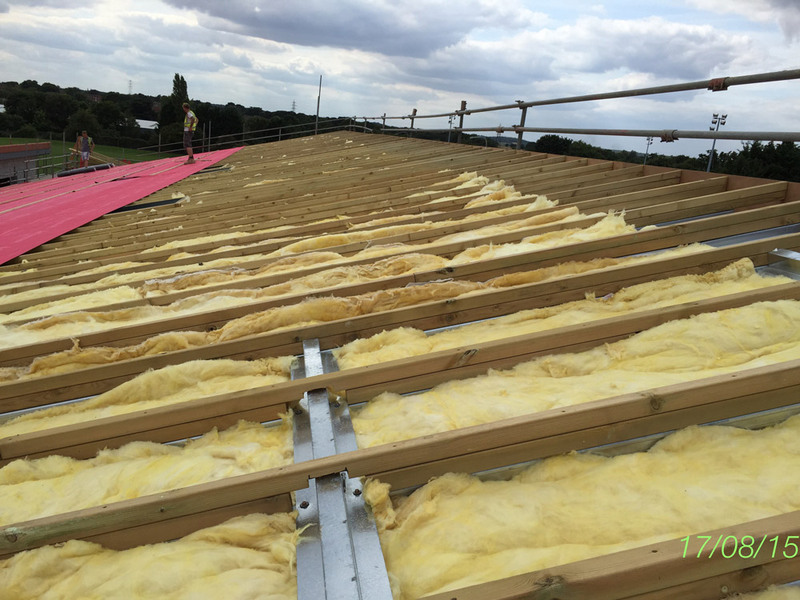 A warm roof construction allows heat to be conserved within the property, saving on expensive heating bills. 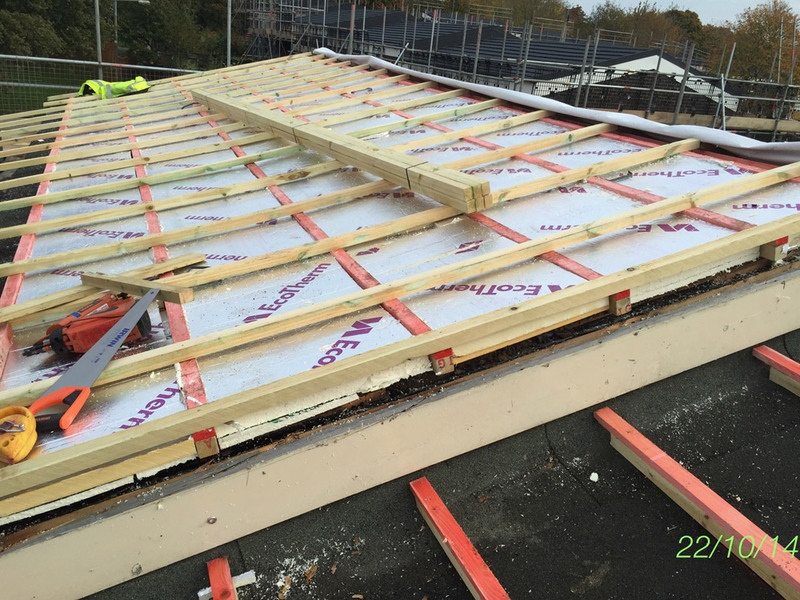 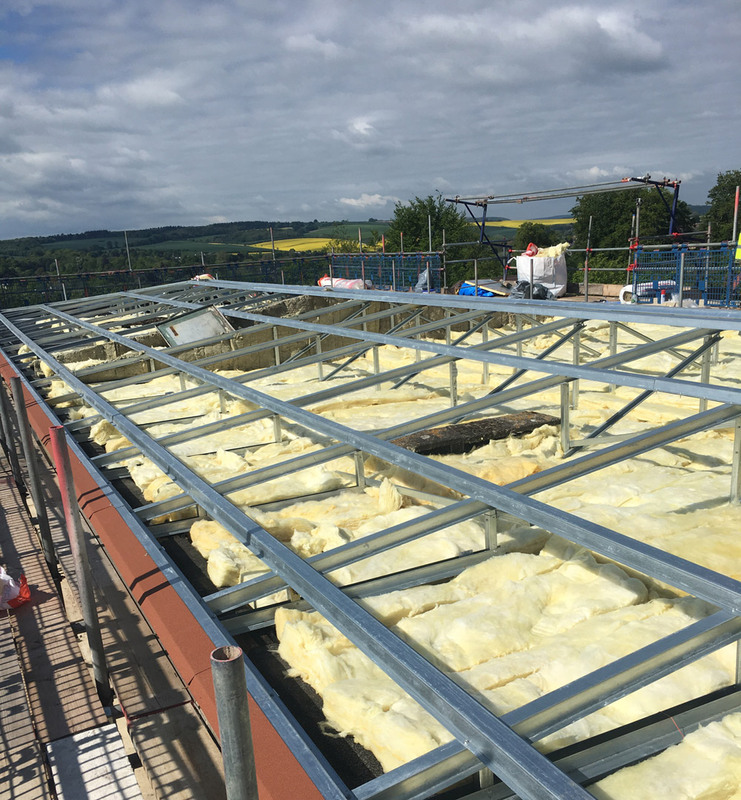 Warm roofing is a popular roofing solution for most modern-day construction methods by allowing the insulation layer to be directly below the weatherproofing membrane, no thermal bridging can be lost through the rafters. 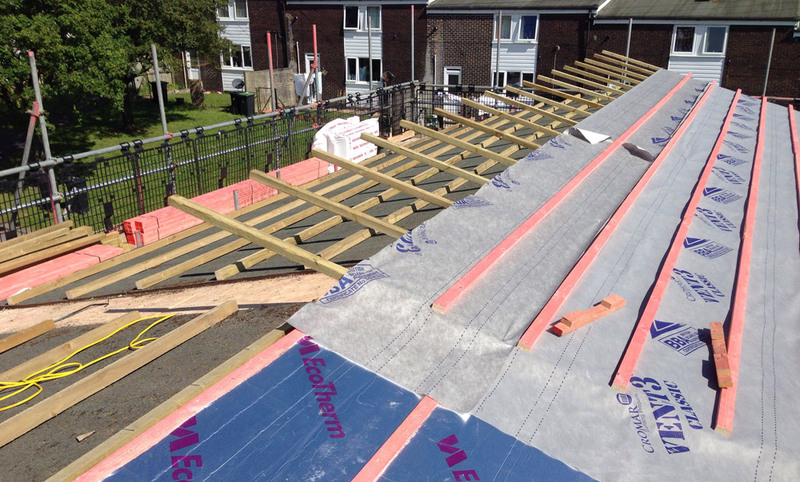 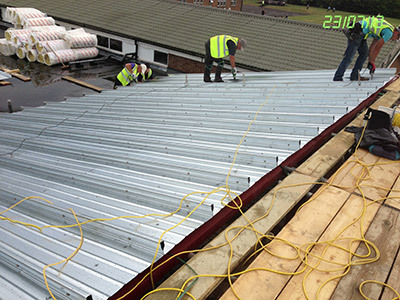 Britmet Lightweight Roofing selected to manufacture and supply the most advanced warm roof system on the market. The patented Tactray 90 system has been engineered to provide a solid warm roof solution. The Britmet Tileform Tactray 90 is a roll formed into a Tray profile 500mm wide, with 90mm upstands, with a wooden plank finish to the underside for a decorative ceiling/wall finishes available in a galvanised finish, white polyester and on request can be power coated to suit any colours. 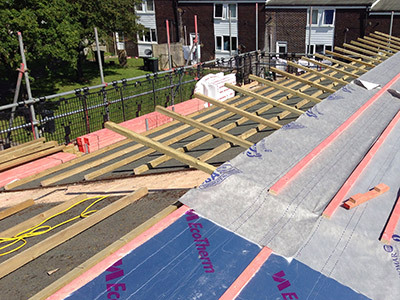 The Britmet Tileform Tactray 90 has great flexibility for the specifier allowing a range of u values from 0.18 – 0.1 u value or less, and can use a multitude range of insulations to achieve the specified u value to suit costs and insulation availability. 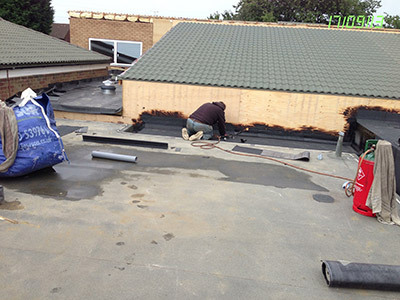 Britmet Tileform also offers our Britframe lightweight flat to pitch roof conversion system which converts flat roofs to pitch roofs, easily erected on site to form a new lightweight roof structure, Fixed down to the existing flat roof with fasteners and is roofed using any of the decorative Britmet tile or slate profiles and is highly insulated with an quilt insulation over the existing flat roof to achieve an 0.13 u value, to give massive thermal cost savings compared to the existing flat roof and quick paybacks for these flat to pitch Britframe conversions.